So a few weeks ago, I shared with you that I had decided to make some very important time for myself! As a Mommy to three kids all three and younger, I don't get any free time - so I needed to actually make an effort to schedule that time! I wanted to start eating healthier and exercising and get back to (or close to) my pre-baby body! In addition to selfishly wanting to look good, I also wanted to feel good. I needed more energy! I want to be the mom who is running around and playing with her kids! I owe them a healthy and happy Mommy! That's when I decided to try a program that I've been hearing about - Shakeology and the 21 Day Fix! I committed to making changes in my nutrition and exercising for 21 Days straight! *it tastes good! Not like a chocolate milkshake but still good enough that I enjoy drinking it! I took some very honest before and after pictures! In 21 Days (that's only 3 weeks people), I was able to lose 9 pounds and 4 inches off my tummy and hips. I know a lot of people don't believe the before and after pictures that are online and the commercials, but these are real and unedited. I didn't photoshop or filter my pictures. I didn't even apply self tanner lol. They're about as honest as it gets! I still have a long fitness journey ahead of me, but I am off to a wonderful start! I believe in Shakeology and the beachbody programs so much that I decided to become a coach! And now John is on board too! 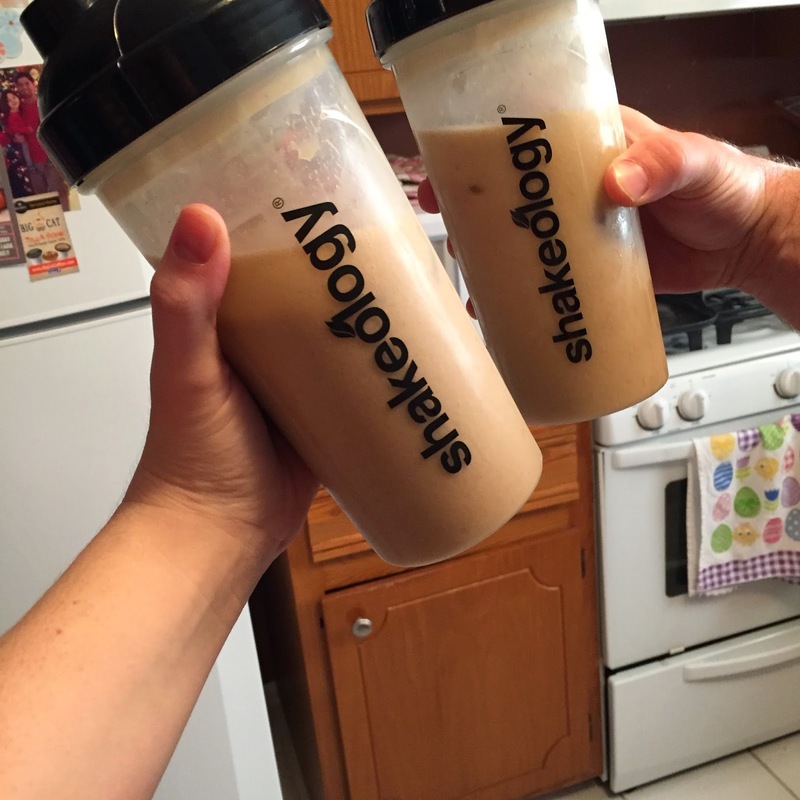 He's drinking Shakeology and doing T25! Now that I have completed one round of the 21 Day Fix, I am doing T25 with John! And I already love it! That program goes for 10 weeks! In about two months, I will have another set of before and after pictures!